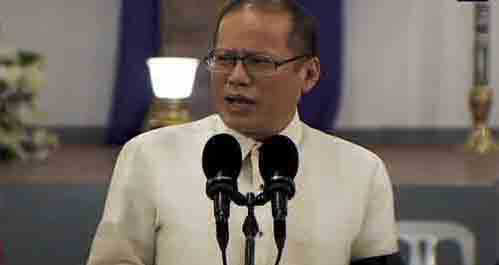 MANILA, April 9 — The first quarter of 2015 was over, or three months have passed, and President Benigno S. Aquino III has to issue a directive for all heads of departments and agencies to undertake measures and ensure prompt execution of their budgets for fiscal year 2015 so programs and projects are implemented in a timely manner. With Administrative Order No. 46 issued last March 30, President Aquino said agencies shall complete the disaggregation of project listings and the submission of documentary requirements which include network plans, geo-tagged photos and implementation guidelines.for allotment release by end of April. The President said departments and agencies need to also submit to the Department of Budget and Management (DBM) an implementation plan for the programs and projects in the fiscal year 2015 General Appropriations Act (GAA), detailing quarterly financial and physical plans and targets. This entry was posted in GOVERNANCE, NATION, NEWS, NOAH and tagged Benigno S. Aquino III, General Appropriations Act, Public Finance, Talking Heads. Bookmark the permalink.